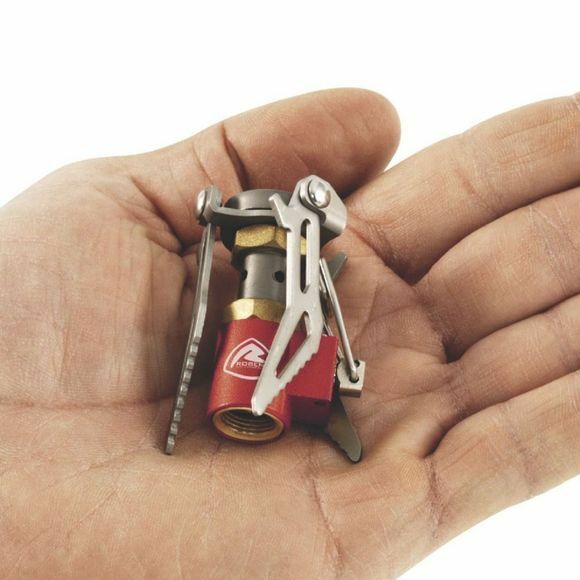 The Robens Fire Midge Stove is a lightweight and compact stove that will fit into the palm of your hand. 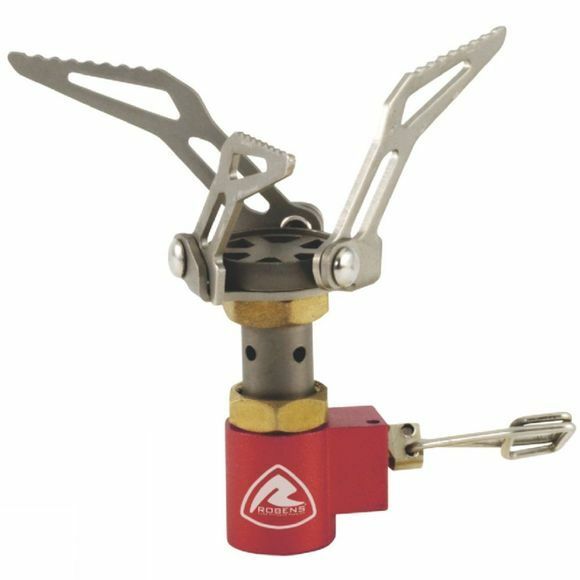 It screws on top of a gas cartridge (gas cartridge not included) which creates the stand while three flip out arms create the pot support. It also includes a compact carry bag.